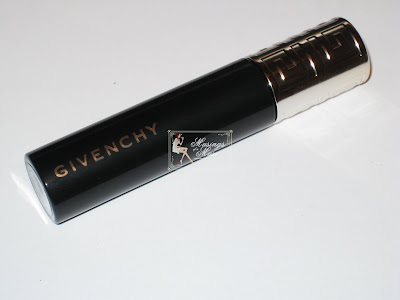 Givenchy Phenonmen’Eyes Mascara is truly a one of a kind mascara. Givenchy put alot of thought into the creation of this product and came out with an exceptional product that does exactly what it promises and is well worth it’s $27 USD price tag. This product is holy grail material for the Muse and comes with my highest recommendation, no questions asked. I’m happy to see that they haven’t labeled this as Limited Edition and it isn’t as far as I know. If so I may have to jump off a bridge once it’s gone for good, either that or stock pile a ton of it before it’s forever lost to me. Although some have complained that this doesn’t produce the desires results I’d say those people are crazy so don’t listen to ’em, trust your dear old Muse to never lead you astray, she says you needs this, like now, forget reading the review just go get it! The innovative design of the applicator is the key to fuller, longer, and perfectly curled lashes. The applicator is the first of it’s kind and applies the inky, jet black formula beautifully over lashes creating a false eyelash effect. Although I’ve tried many a fine mascara this beats all, including the Muse’s beloved Majolica Majorca mascara. The applicator is a strange sphere shape with tiny rubber spikes sticking out of it. 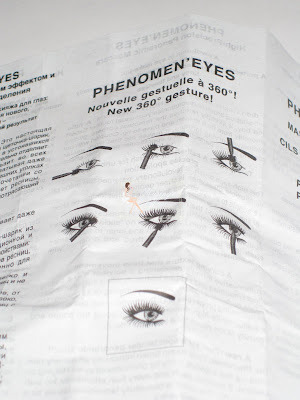 Scary, yes but truly effective in creating picture perfect lashes. 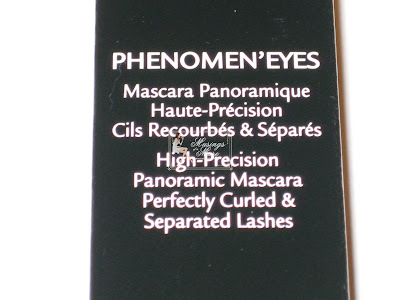 Although I got slightly scared upon reading “separates lashes” on the box I was pleased to see it created plenty of volume without causing a clumpy mess or a spider leg effect. This is virtually impossible to mess up with. Swipe across lashes and presto! Instantly fuller, longer lashes. The formula is a thick, ink-like consistency which I noticed gave the impression that I had tightlined when in fact I did not (if you’re unfamiliar with tightlining it simply means lining your upper water line). I did take the fact that I have naturally fuller lashes into consideration when testing this and I can honestly say I’m unsure how those with shorter, stubbier lashes will fair when using this but I truly think it’s worth a shot as the applicator does an excellent job of pulling lashes up and out while curling upwards however I worry it could cause major clumps and smudges if your lashes are shorter. I was shocked to hear tales of smudging and clumping. Not the case at all. I’ve been using mine since a week or two after it’s official release on Sephora’s site and I experienced no smudging or clumping. It has extra long wear at a peek of at least 12 hours and removes quite easily with waterproof eye makeup remover. 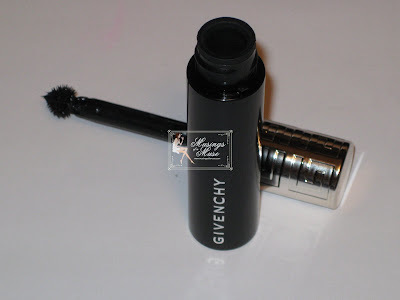 Givenchy Phenonmen’Eyes Mascara is pure love for the Muse! I give it my highest recommendation and approve it for purchase! Although the cost is a bit much it’s WELL worth it’s price tag! The Muse says you need it! I was wondering if you were going to get this – could you post before and after pics of using this stuff?? I was looking to see who would review this mascara first. I’m amused and intrigued by it since the wand looks like a torture device. But for 27 dollars, CoverGirl can you give me a knock off? I love this mascara. I am a mascara whore and this is my fav! I get complements on my eyelashes all the time. 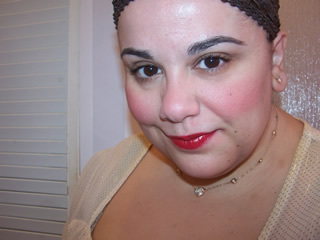 Mascara NEVER works for me – I always look like a drag queen, lol, I guess because I also have naturally long, full lashes, that I want to make a bit more defined, but not over the top. Might give this a go!!! I ended up getting Too Faced Lash Injection Pin Point and will write that review tomorrow since I just posted my BE review on the Rocker Eye Tutorial (and included me with my new “Rock Star hair ahaha). Can you post pictures of you using this product? wow – i’m so glad you showed pictures of the brush!!! is the mascara waterproof?? Allure just sent me Exceptionnel de Chanel mascara to try and review for them, and I really like it so far. It has a funky brush that’s like a combo of regular and the new plastic comb type brushes. It curled and lengthened and made my lashes fuller. A tiny bit clumpy but I think with practice I can do it without messing up. Let me know if you get a chance to try it! 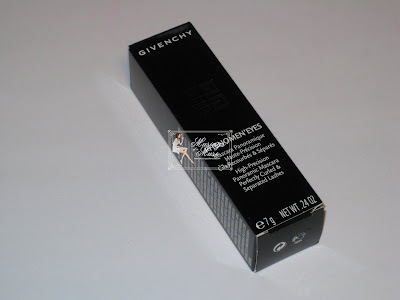 I’m definitely going to try Givenchy soon! Hope to speak to you again soon! LOL it does doesn’t it!? Lord no covergirl can not knock this off! Shame on you lol! It holds a curl beautifully well. As far as I know it is waterproof. I love love mm too! Actually the formulas are similiar in MM and Givenchy…it’s a very inky liquid. Me too! 😉 I’ve always trying new ones! I’m so glad you like this one, I’m loving it myself! Awww really? I’m sorry! This is well worth it. It sorta feathers the lashes while plumping! Very nice! Do let me know if you try it, would love to hear your thoughts! zomg bad bad sephpora 🙂 Might I also suggest Dior Iconic and Lorac’s newest mascara! Oh my must go see rockstar hair hehehehehe! Whatcha think of the too faced? I’m not a big fan of the regular lash injection so I didn’t get pinpoint! Absolutely, will post shortly for you! Love this stuff and also reviewing it shortly myself 🙂 It’s great isn’t it!? Sure thing 🙂 I’ll have it soon for you! It’s great for fuller lashes so that’ll really make a difference when using it as it’ll feather out your lashes and create a beautiful lined eye look. Thanks for the comment, hope to speak to you again soon! I have beef with regular Lash Injection too…it works well for the first month you use it, after that…it becomes crappy and clumpy when the wand comes out of the tube. We’ll see how Lash Injection Pinpoint does. So far so good..I need a month of use before I can place my verdict lol. If only I could actually afford it! Haha. ditto but my beef stems from first use. I guess I just hate freaking fiber mascaras yak! LOL you’re a great reviewer I’m normally on the bandwagon after first use whether it’s love or hate! Awww! It is worth the cash if that helps hehe! I think this is the mascara that I’ve most wanted to try after seeing several other reviews and now yours. It seems like it’s well worth the price. many of the girls who tried this siad it is great effect with a great problem – smudging big time. that was why i haven’t checked it out. but i have clarins double fix’ mascara now and so i may just try this one out. you are the other only who said it has been working well. i’d see if it’s out here. I really didn’t have a prob with flaking or smudging of any kind. You def need to try it out! that is one strange applicator! i was wondering about how their new mascara turned out.